Solution: NOW® Solutions Pure Shea Nut Oil is an expeller-pressed, fractionated oil obtained from the seeds of African karite trees. 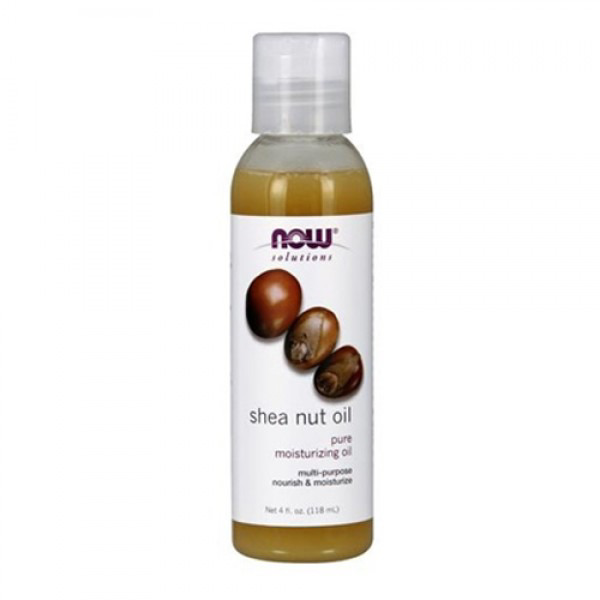 Rich in oleic and stearic essential fatty acids, shea nut oil is a superior personal care oil that's ideal for nourishing and moisturizing your hair, scalp and skin. This luxurious oil absorbs quickly, so you'll enjoy youthful, radiant skin and healthy, lustrous hair without any greasy residue. Ingredient: Butyrospermum Parkii (Shea) Oil (tree nut).